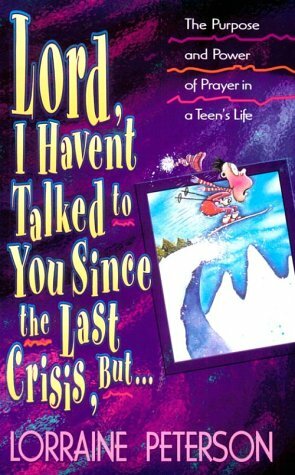 Teenagers - Prayer-books and devotions - English. Building a Rock-Solid Friendship With God. We live in a crazy world. The lives of those around us are filled with confusion and emptiness. The frantic pursuit of pleasure, which sometimes takes the form of chemical escape, dominates the horizon. A high-pressure culture produces a kind of super-stress that previous generations did not encounter. Biblical principles are often ridiculed and challenged every inch of the way in the media, in literature, at school and at work. 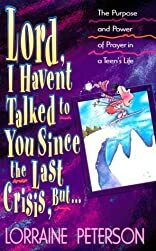 To teens growing up in a post-Christian society, Lorraine Peterson brings a most important message: Make prayer a living, vital part of your life, and then you'll be able to face the disappointments, temptations, and emergencies you're sure to encounter. Discover the value of spending time with the one Person who understands completely and is equipped to do something about each situation. Prayer is a dynamic, powerful tool in the hands of God's people, including teenagers. Young readers will learn that there is no single "acceptable" way to pray, and they'll be encouraged to learn various methods. They will discover how to make friends with God, receiving His guidance and solution for problems and needs.